In addition to those Mobile home Insurance and Manufactured Home Insurance market we have specialty insurance carriers that will provide quotes for Farm & Ranches and more. So why go anywhere else. Would you like to begin your insurance quote now? If yes, click on the let's get started check box below please. Please provide date of birth. Are there other names or Trusts that need to be added? Who will occupy this dwelling? Garage type (if none state "none"
What is the approximate distance to a fire hydrant? Any claims in the last 5 years? Would you like to list items that need to be scheduled on your home insurane policy? Accepted file types: jpg, pdf, . Please feel free to upload up to 8 images of your dwelling and other structures. Please do not load high resolution photos as the file sizes are generally too large. Are there other structures on the property? Please provide estimated year of construction, square footage, use and value if known. Title Company: If you have an escrow pending would you like to provide us with the Title Companies information. What is the name of your responding Fire Department? If you do not know we will research this for you. If owner occupied you must have CPL. If tenant occupied you must have OL&T. If Tenant occupied this will be quoted as a DP3 / Dwelling Fire Policy. In some instances we will quote a DP1. All the replacement forms type will be discussed with you later. The deductible applies to Coverage A: Dwelling, Coverage B: Outbuildings and detached structures and Coverage C: Personal Property. Are you or have you been insured in the last year? Are there any "other" home/dwelling claims? Do any of the do / are any of the dogs mixed with or are pit bull, doberman, roteweiler aikia, wolf or an animal with a prior bite history? Would you like to provide your lender/mortgagee information so we can send proof of insurance should you decide to purchase our insurance? Program Highlights Standard or Optional? Value – Maximum $250,000 TIV $150,000 varies by geography. Prior claims – Yes, acceptable with some carriers. States & Counties – Athena Insurance writes in multiple States and almost all Counties within those States. In other words, if we are licensed in that State we write in all Counties within that State in most circumstances. 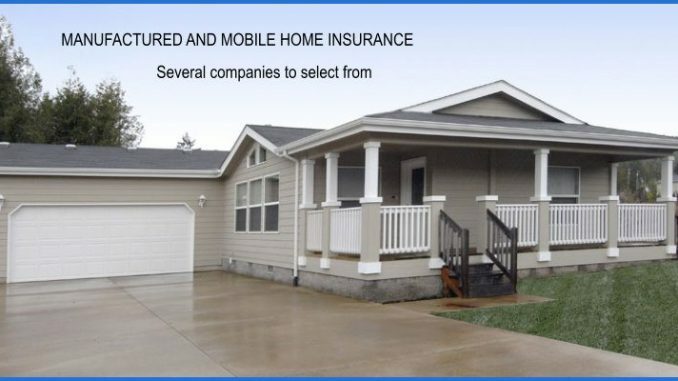 Finding Mobile Home Insurance and Manufactured Home Insurance difficult in high risk areas? With our broad band of insurance carriers we are certain to find insurance for you needs. So, if you have been cancelled, declined or non-renewed give us a call to see what we can do or complete an application form now. Want to submit information for underwriting review now? The turn-around time for a quote is 24 to 48 hours M-F. Please upload a photo of any outbuildings, wood stoves and of the unit if possible. This helps us in quoting and we appreciate your cooperation.